What Could Star Wars: Knights Of The Old Republic III's Story Have Been? What Could Star Wars: Knights Of The Old Republic III’s Story Have Been? VG247 has talked with Chris Avellone, who had insights as the writer of the second game – let’s see what the veteran has said: „When we finished the second [Knights of the Old Republic], we were all trying to restore our lives back to sanity. We did start working on the third game pitch because we always imagined the trilogy. Even when working on the second game, we [tried] to foreshadow what Darth Revan was doing in the second game, and he wasn’t always just ruthlessly and mindlessly blowing everything up. He actually had a larger plan because there were some greater manipulation and threat going on. The third game involved you, as a player character, following where Revan went and then taking the battle to the really ancient Sith lords who are far more terrifying than the Darths that show up. These guys would just be monsters. These would have a level of power that was considerable, but at the same time you’d be able to dig more into their psychologies, and their personalities, their history, and even how they dealt with the player, how they talk with the player, the different powers they cultivated and developed, and for some of them like – they’re the ancients, so they’re not just ruling a solar system, [but] swathes of the galaxy. So the places you travel to [you’d see] how they left their stamp on that world, or that solar system, or whatever collection of moons. You’d see how horrible that was. Part of that environment would tell a story about that. [That] would be a great, epic way to end the trilogy. The Old Republic is out there. We just didn’t get a chance to do it.” Wow! The issue here is that Obsidian can’t work on Star Wars anymore unless that game would be an Xbox/Windows 10-exclusive title, as they are now part of the Xbox Game Studios. Still, it’s tough to see what Avellone had in store for Knights of the Old Republic III, which never managed to get anywhere. Will Smith Invests Into eSports, And With A Lot Of Money! 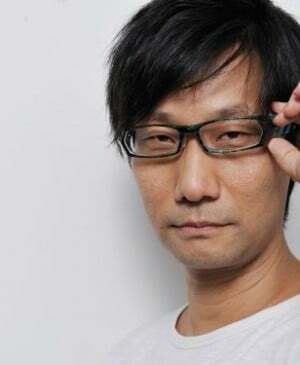 Streaming, Cloud-Based Gaming: What Is Hideo Kojima Preparing?